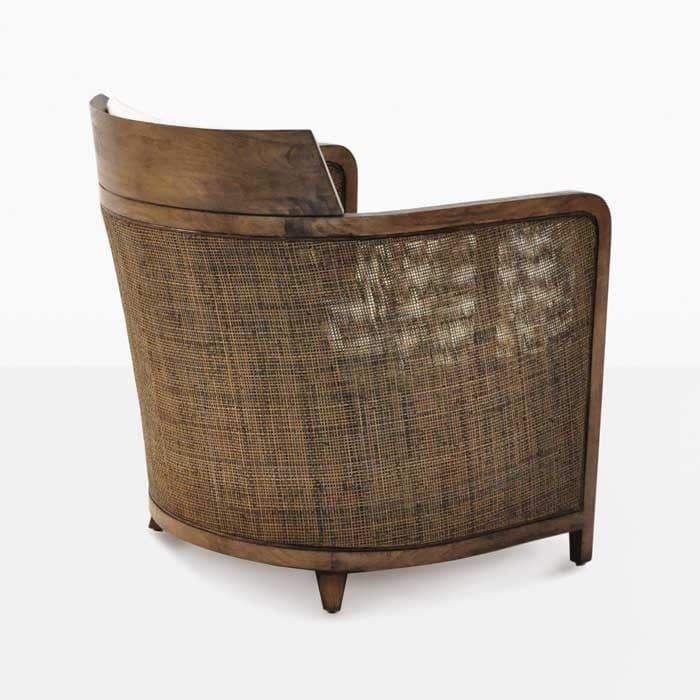 The Hugo Wicker Chair is vintage, safari style and extremely dashing; get ready to relax. 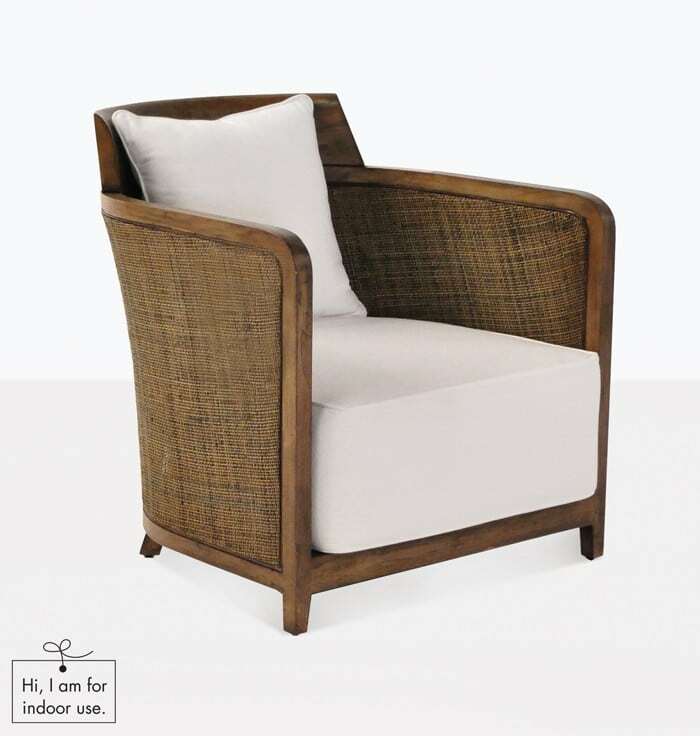 This gorgeous indoor wicker chair is an amazing addition to your library or as lounge chair in your sitting or sun room; the Hugo Wicker Chair will definitely add an element of the traditional yet high glamour to your home. Get a plush white sofa and add two Hugo Wicker Chairs to create a grand setting in the most relaxing room in your house. 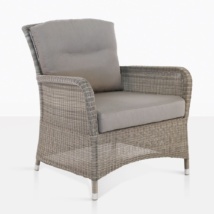 We love this wicker chair in dining areas as well, for a seat to relax in after a large meal. 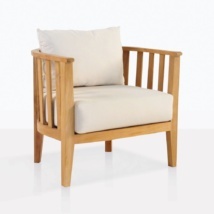 W26" x D30" x H30"
The Hugo Chair is made out of fine wooden wicker and mahogany, suitable for indoor use. It comes complete with luxurious white cotton seat cushion and throw pillow. 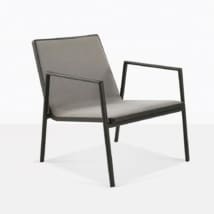 The Hugo chair is the perfect indoor wicker chair to use on an everyday basis to read your favorite book or use to impress guests with such an elegant, statement chair. No assembly is required with this chair — order this wicker chair and enjoy it the day it arrives without the hassle of putting it together! Each Hugo Wicker Chair is assembled and tested for durability in our Los Angeles warehouse before it ships. 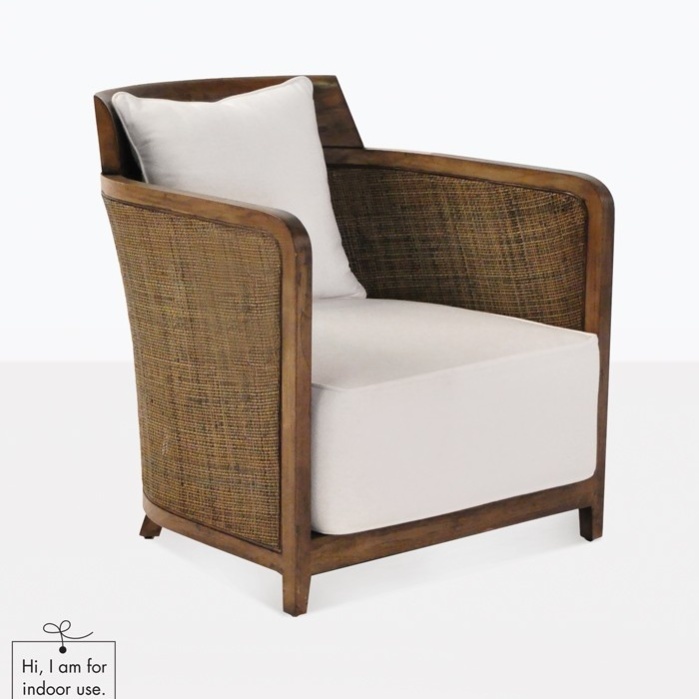 At Teak Warehouse, the majority of our products are outdoors, we couldn’t resist the Hugo Chair because rarely do you find an indoor relaxing chair that is elegant and simple as this one. 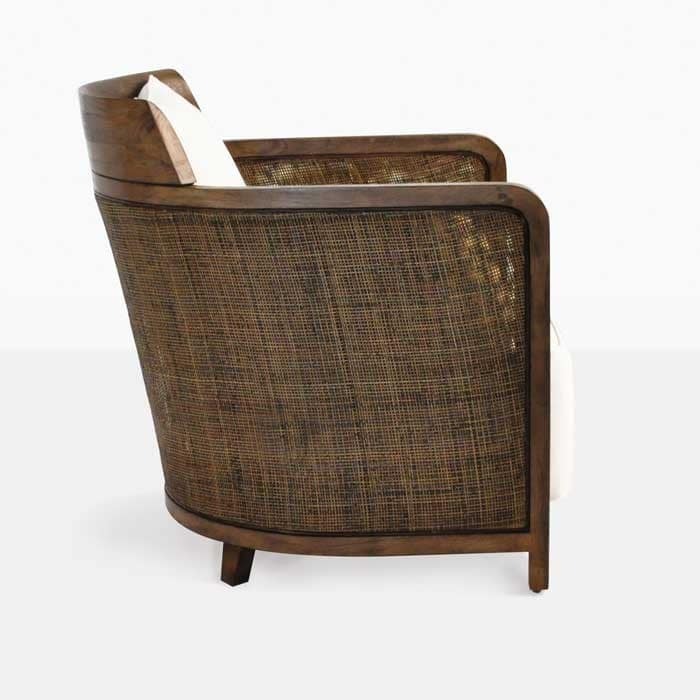 The refined wooden wicker coupled with a strong wooden frame, means it is perfect for indoors, and will last and last in your safe and dry home. Feel free to call us today to discuss options for the Hugo Wicker Chair and any of our other marvelous products. Our sales consultants are in store 7 days a week, and ready to help you find the best settings for your home and garden.